Some units do not have a view of the ocean or the golf course. Some only overlook the lake. 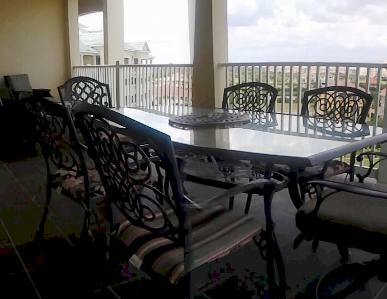 Many of the balconies at Cinnamon Beach do not have a lounge area and a dining area. You get it all with our condo. Sweeping ocean views, dining table for 6, loveseat and two chairs with ottomans.